These Motor Starters are available in various sizes and specifications. Star Delta Oil immersed Semi Automatic With Overload Relay Heavy Duty Contacts 3 HP to 60 HP. 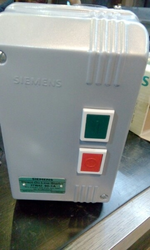 Our Motor Starters are widely appreciated by our customers for its quality and durability. These can be availed at industrial leading price.